Octagonal Rose Gold Mirrored Sunglasses. 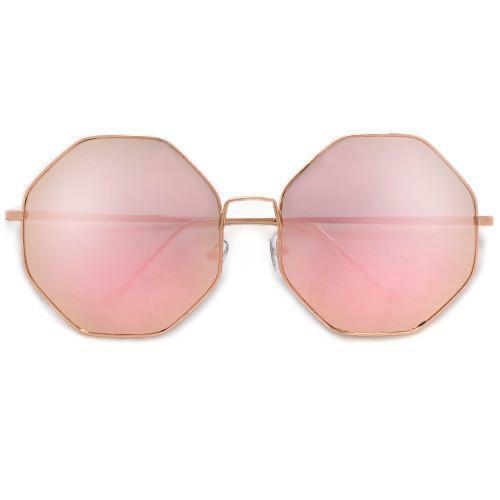 Trendy rose gold mirrored sunglasses great for the summer and fall sun. With UV protection. You will never want to take them off.